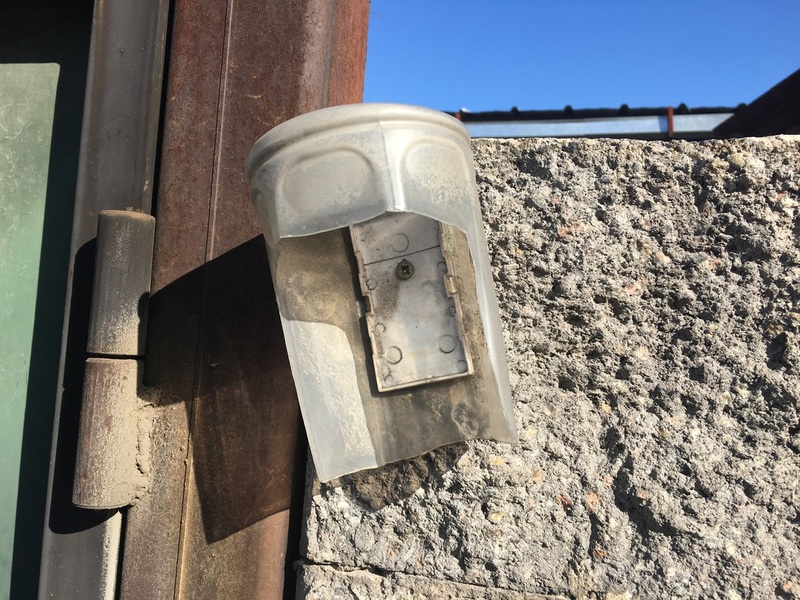 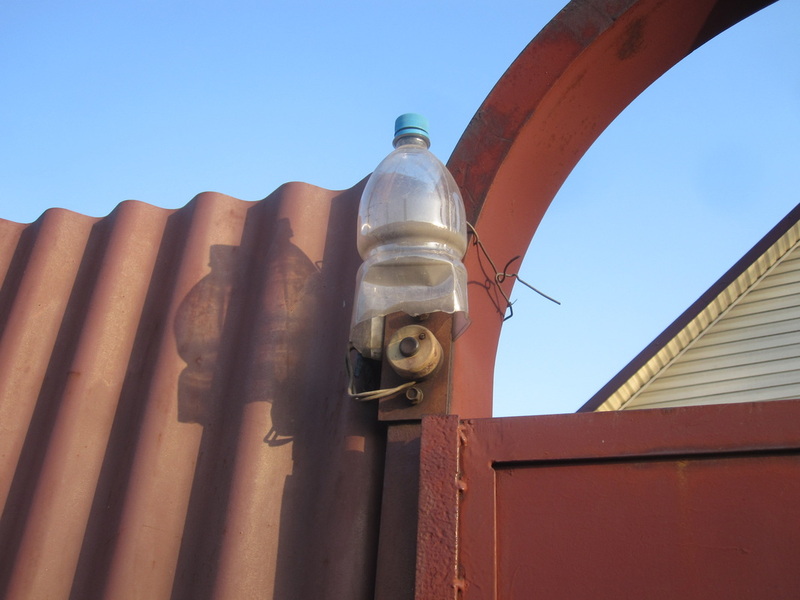 It's curious that in a city that has very little recycling at an institutional level there is such a widespread phenomenon of people reinterpreting their plastics. The tire, as I've shown elsewhere, is a common commodity that finds rebirth, but perhaps the next most recycled item is the plastic bottle. 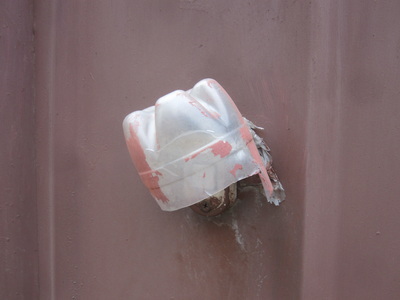 Plastic bottles are often placed over sharp edges and stakes to make them safer, and I've seen them used, with holes poked in the bottom, to disperse the spray of sprinklers. 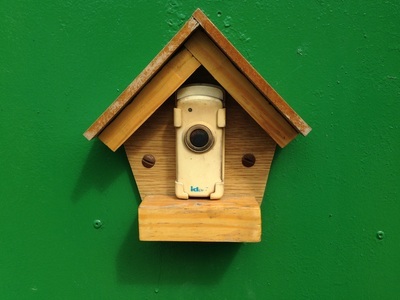 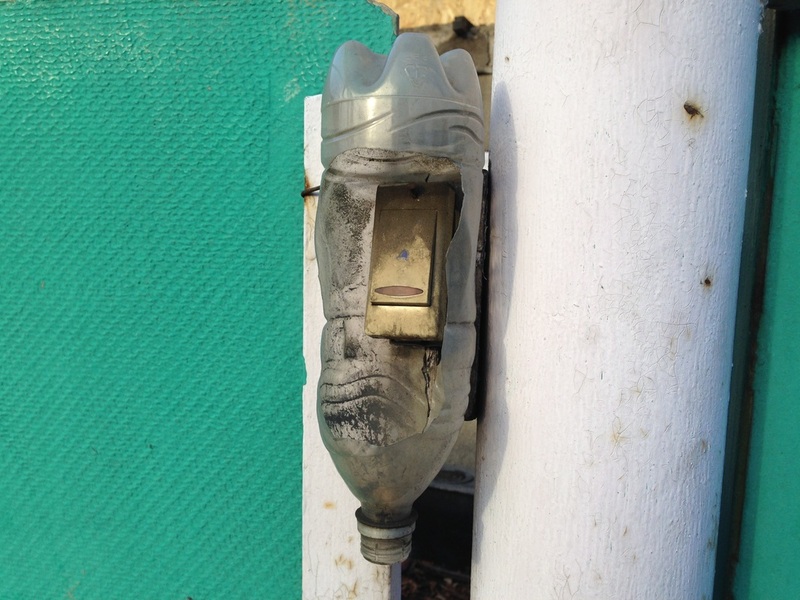 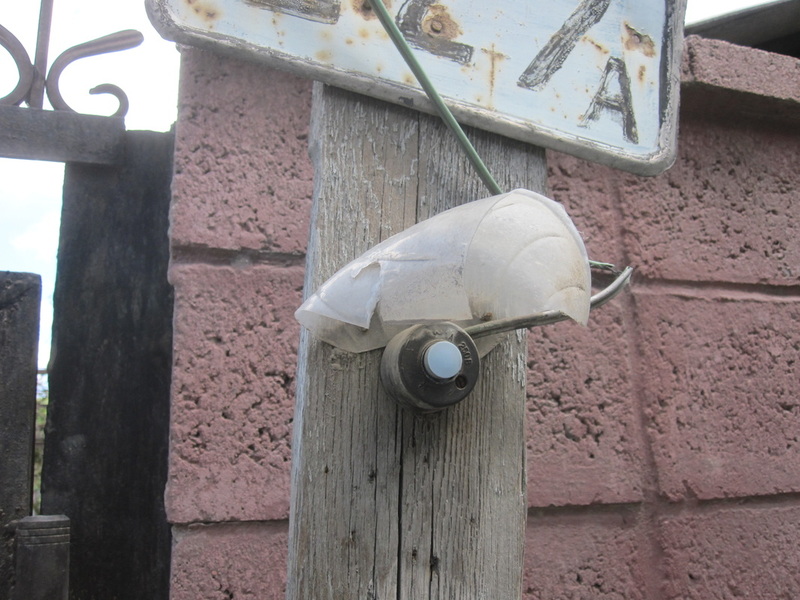 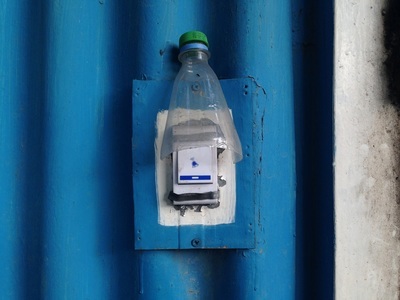 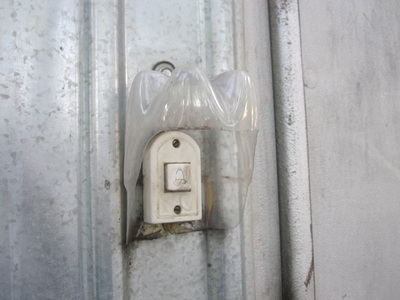 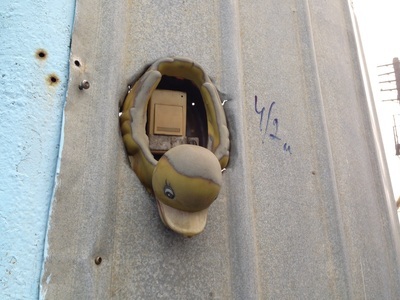 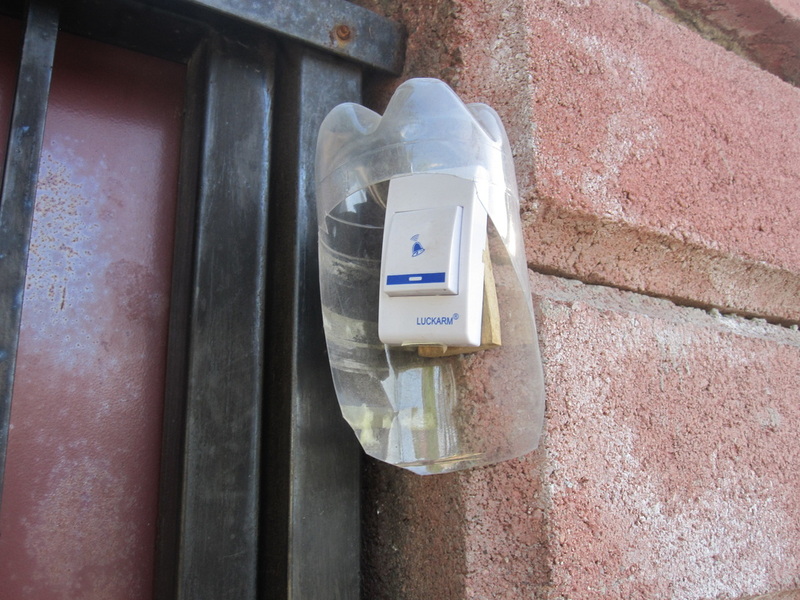 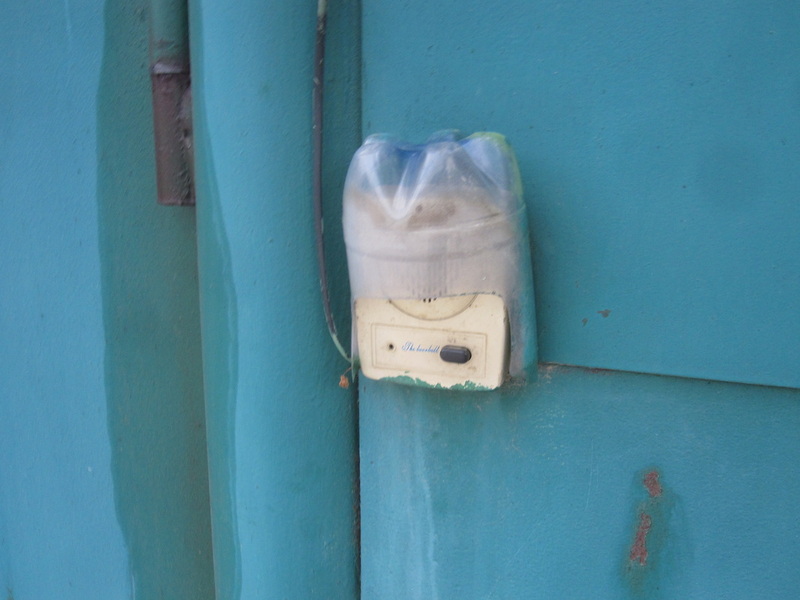 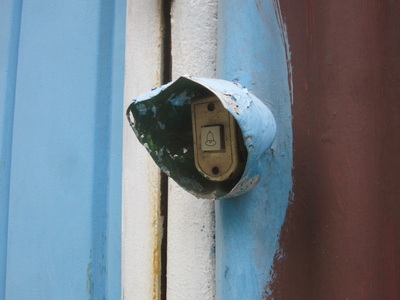 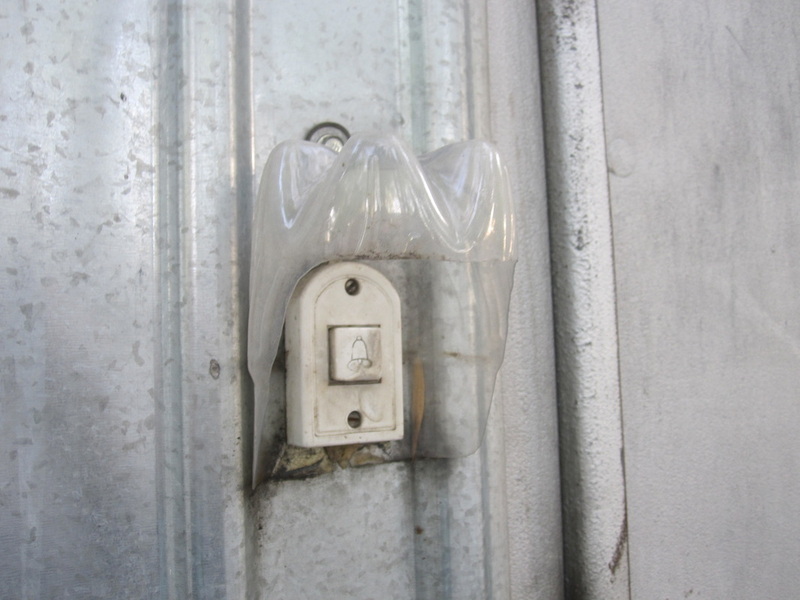 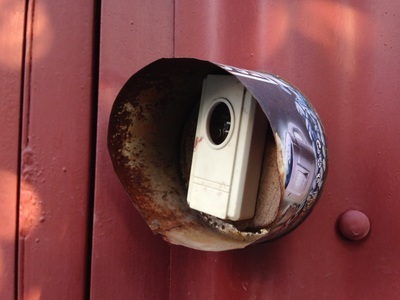 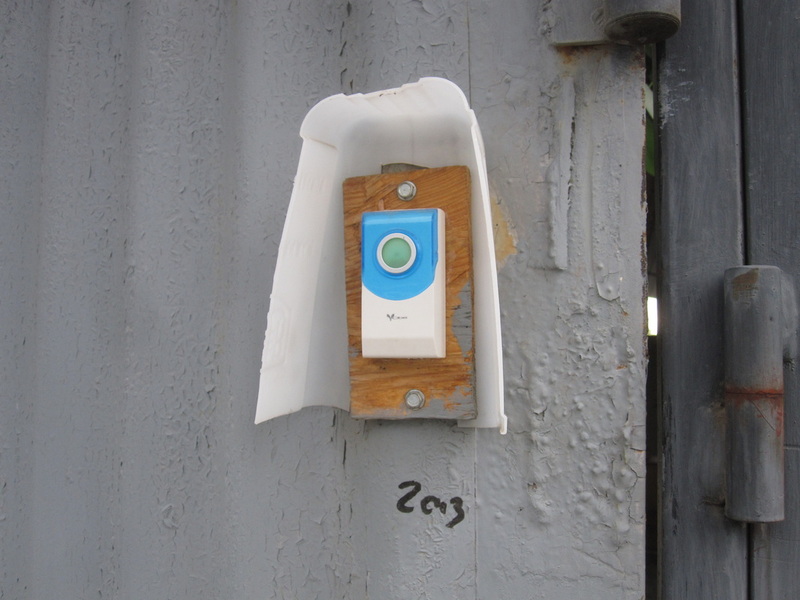 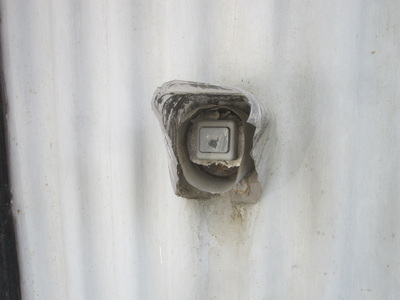 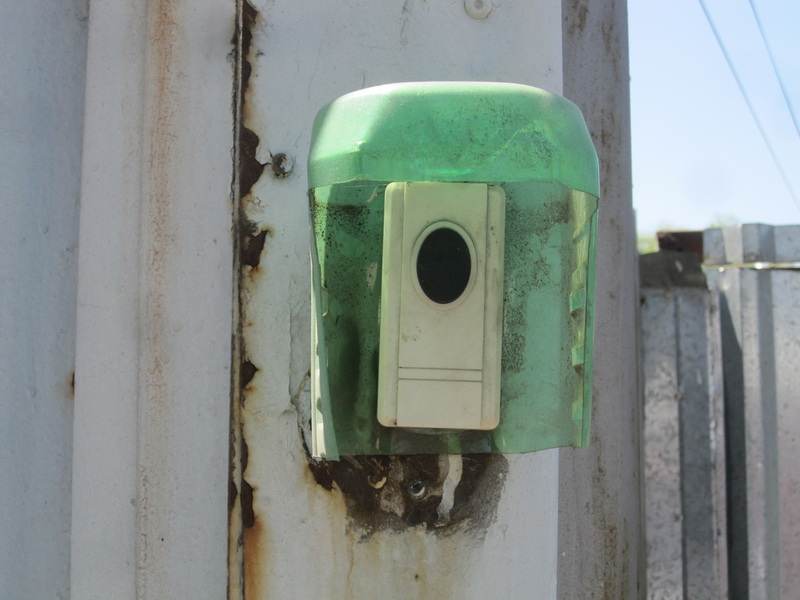 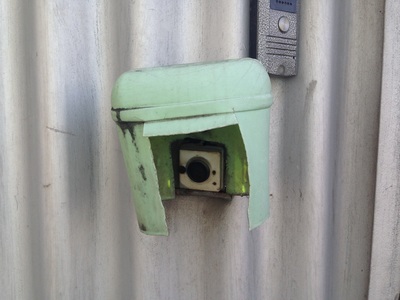 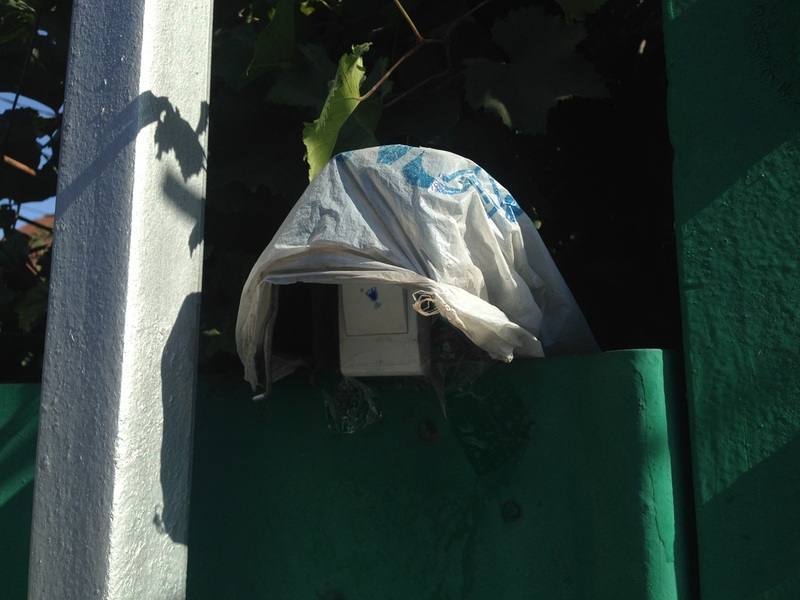 In the neighborhoods of private homes, however, plastic bottles are most often seen on doorbells. 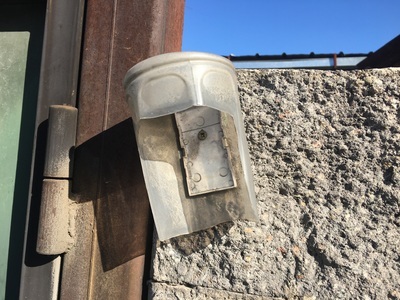 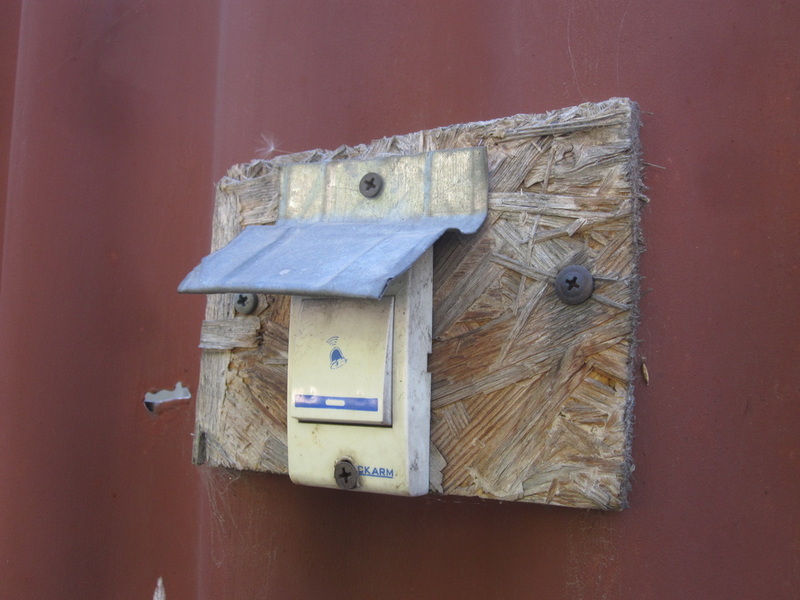 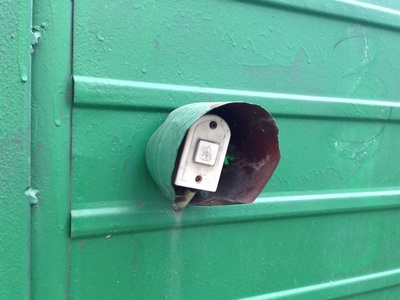 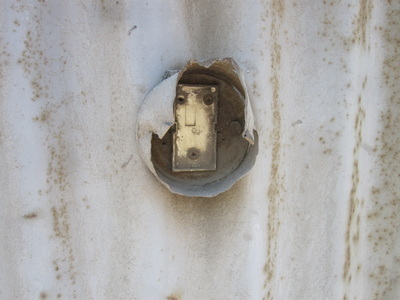 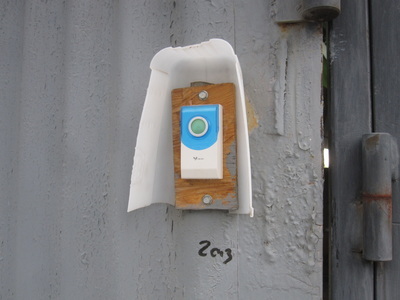 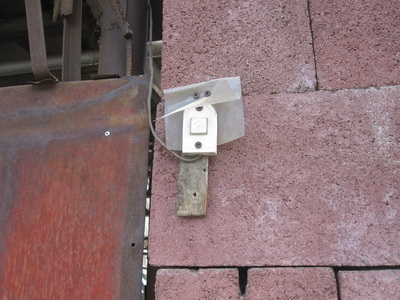 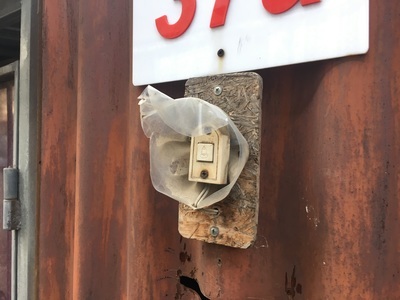 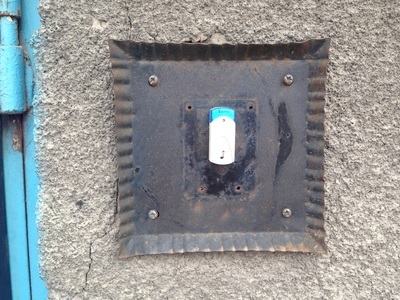 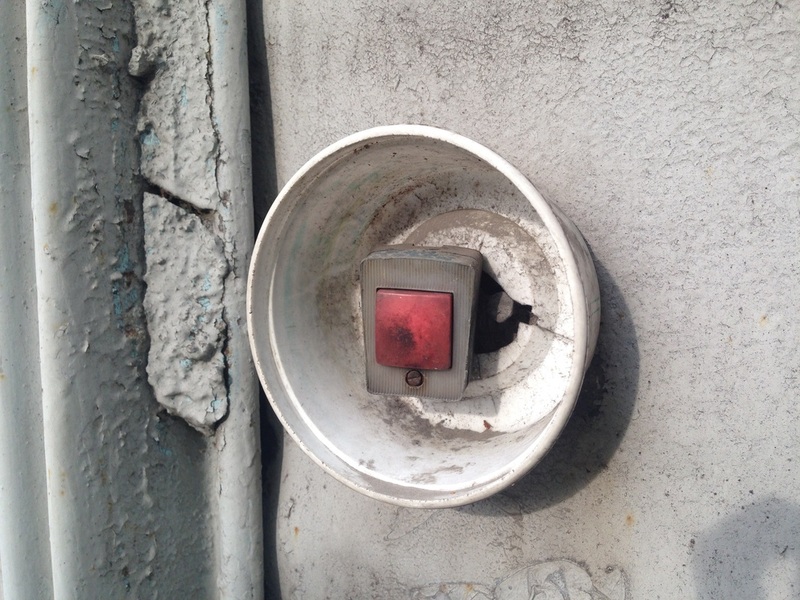 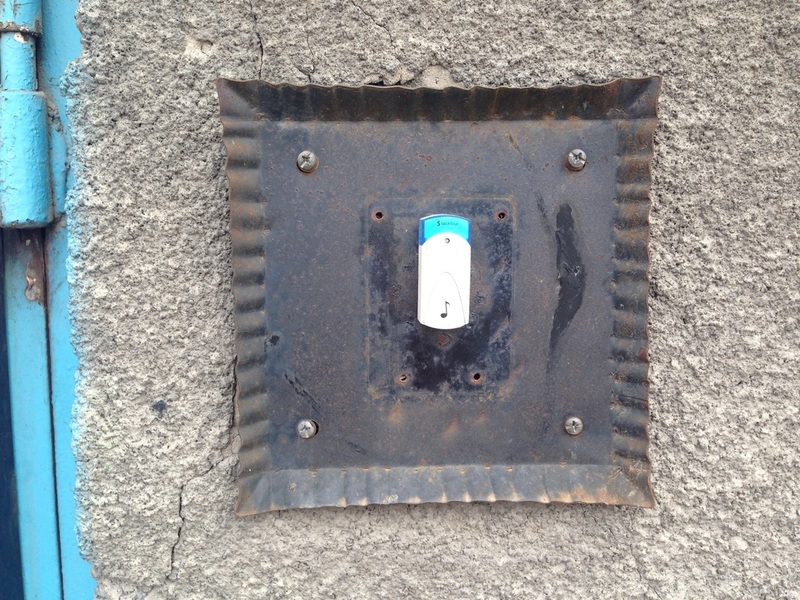 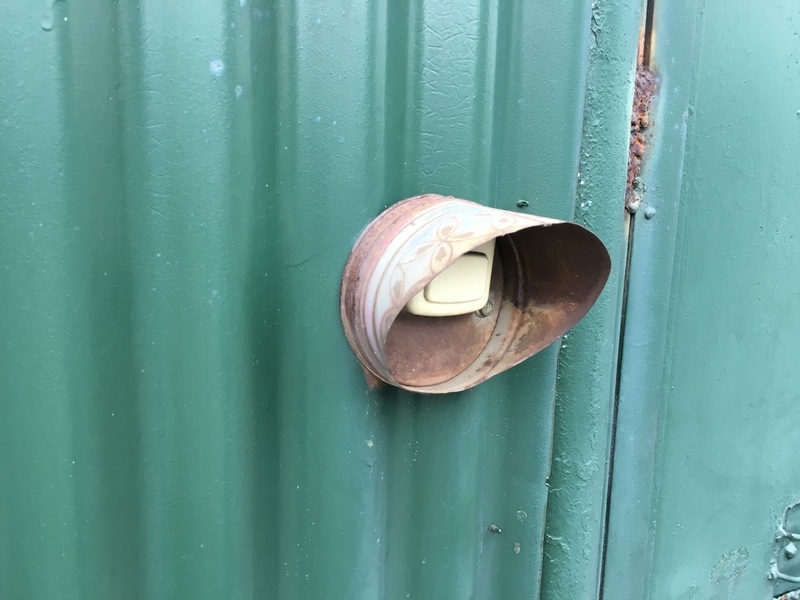 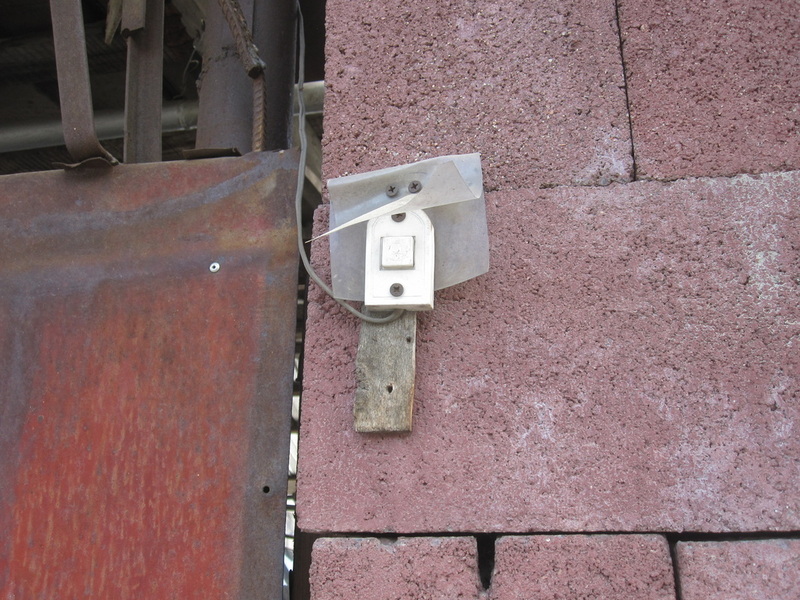 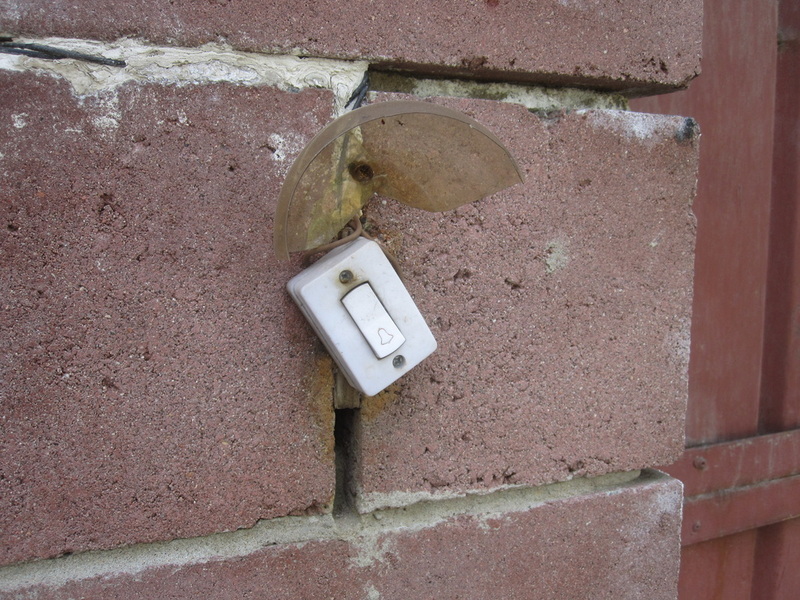 I don't know why these self-installed outdoor doorbell systems aren't waterproof, but people consistently use cut-up cola bottles to make mini-roofs for their ringers. These doorbells, I should add, aren't technically doorbells. 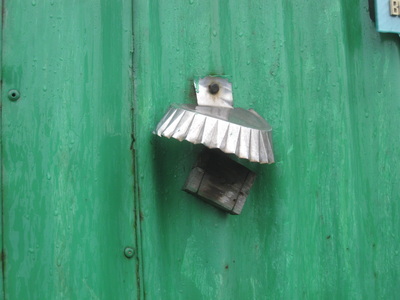 Most houses have such a well-secured metal fence that you need to buzz a buzzer at the gate before you can ever get to a door.